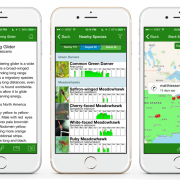 You are here: Home / Blog / News / Help us with the Dragonfly ID app! Help us with the Dragonfly ID app! 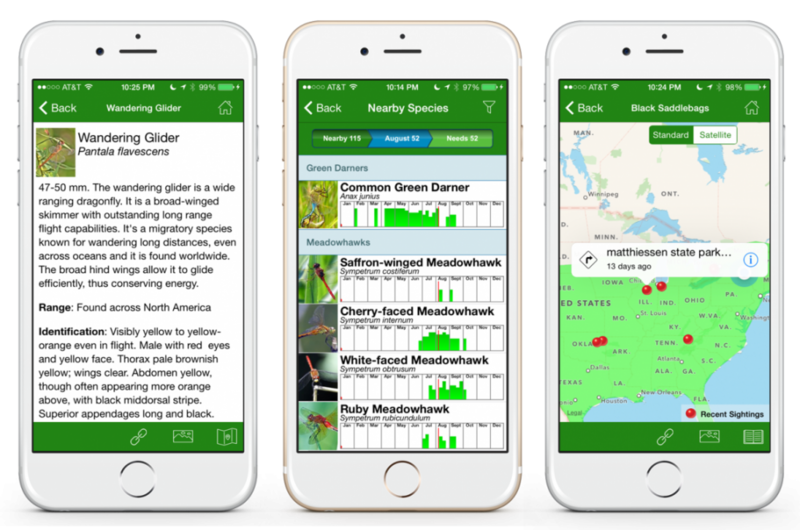 The new Dragonfly ID app is a collaborative effort made possible through contributions of time, effort and money from hundreds of people. A project like this is by its nature a work in progress. Our immediate goal is to be able to provide users with high quality text and at least one good photo for every species in North America. Would you be willing to contribute text for a common species in your area? Or maybe a photo of a missing species? Thanks to John Abbott who has generously offered to review and edit contributed text. Let’s keep him busy! Species text should be a minimum of a couple of paragraphs. There is really no upper limit to how much text the app can handle, but in general we should try to keep it brief enough that users in the field can quickly find the information they need. A great place to start is by reviewing Odonata Central’s “Identification pages” such as this one for Vivid Dancer. Note that the text on the Odonata Central “Identification pages” were originally targeted to the southwestern US, and so sections such as comparison species and range descriptions are not adequate for an app targeting all of North America. It would be great to get some text contributions in French and Spanish as well. Or, if you are interested in helping with translating into these languages, please get in touch. So, if you’re interested head to dragonfly text submission form where you can find instructions to submit the text. If you have friends or colleague who might be interested please share this information with them and encourage them to get in touch with us. Everyone who contributes text for at least one species will also be eligible (if they wish) to participate in beta testing. http://www.birdseyebirding.com/wp-content/uploads/2015/02/dragonfly-screenshots-e1439483802644.png 757 1141 Drew http://www.birdseyebirding.com/wp-content/uploads/2015/02/logo-uppercase.jpg Drew2015-09-04 16:24:112015-09-04 16:31:21Help us with the Dragonfly ID app!